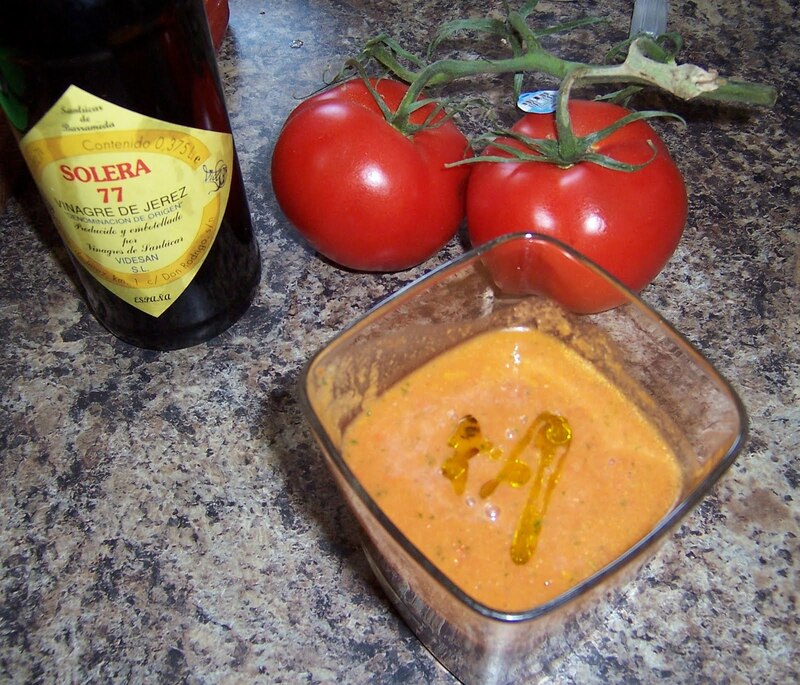 My first Gazpacho was in Spain. We got served this goodness in 1 star Michelin rated restaurant Las Rejas Restaurante in Cuenca, La Mancha. As everything else in this super special place, it got served in a tiny glasses (like a shot) and to be honest, I didn’t even know what it was. But I drank it and it was superb! Trying not to draw any attention to the fact that I had no clue, I learned later from one of my smarter colleagues that this was, in fact, a gazpacho. I remember that name ever since. And now, ever since the warm season starts, I keep asking about it in my favorite Spanish restaurant Costa del Sol in Hartford, CT. I would never dream of cold soup. I know there are many recipes for different cold summer soups – it just never appealed to me. Until I tried gazpacho. Last time I bought 3 portions in the restaurant to take out with me. I was also chatting with the chef Javier, tricking him into giving me the recipe. He gave me some hints. I kept guessing what was in it, he kind of confirmed it. Good enough. I have just tried to make my first gazpacho at home and I am very pleased with the result. Tasting it side by side with the restaurant’s version, mine is slightly different (I guess that depends on what kind of veggies one uses and in what ratio). But it is gazpacho, and I will gladly share it with you! Is it authentic? Have colander ready with a dish underneath to catch all the precious juices. Peel cucumber and cut lengthwise, removing the soft, seed part. Seed part with all the juices goes into colander. Chop the cucumber and add to the blender. Cut the top of the tomatoes, remove the seed’s part to the colander. Add tomatoes to the blender. Clean and seed peppers, chop and add to the blender. Add garlic, onion, squeeze lime into the mix, add tomato juice, sherry vinegar and olive oil. Season with salt and pepper. Add whole cilantro to the mix and turn on the blender. Don’t forget to add all the juices you got from the removed parts of tomatoes under your colander. I first used “blend – puree” button on my blender, and when all the veggies were blended, I switched to “liquefy-whip” function. Let the blender running for a few minutes to get a fine, delicate puree. They are adding a little bread to the blender in the restaurant, to get more body to their gazpacho. I tried mine without bread and it was just fine. It’s up to you. Taste it and season a little more, if desired. I kept adding vinegar because it was lacking the acidity to my taste. Gazpacho can be kept in refrigerator for a week. It is served chilled, with just a splash of quality extra virgin olive oil and a piece of cilantro. I hope you enjoy it as much as I do! I have put this recipe together by coincidence, and it came out so super delicious, I have to share it with you! Ever since, I have made it few times, and all my friends asked me for a recipe. So here you are! You can play with it yourself, mix and match the ingredients – and it’s always success! Everybody always guessed that there are tomatoes in it, because of the color. I guess they would work great too! You can probably roast them on the same sheet with eggplant and red onion. Yumm, I have to try that next! This is quick, fresh, spicy, flavorful and new way to entertain – and it’s a great match to wine. Cut eggplant to thick slices, spread over paper towel, season with salt and let’s stand for 15 minute to sweat. Pat dry with paper towel, spread on greased baking sheet, side by side. Chop onion to thick slices and spread by the eggplant side on the same sheet. Sprinkle with salt and olive oil and let bake in the oven at 400 F for 20 min or until soft. Let cool, place all roasted veggies, garlic and bell peppers in food processor. Stir in finely chopped jalapeño or crushed red pepper (as much heat as you like). Add olive oil, vinegar and lime juice and mix together, pulsing until smooth. Add more quality olive oil if too thick. Taste and season with more salt and pepper if desired. Add chopped cilantro, mix and let rest in refrigerator for at least 1 hour before serving. Serve with tortilla, or your other favorite chips. 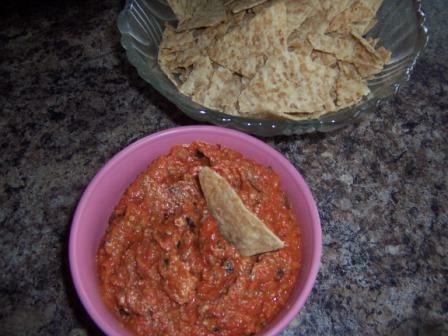 Add any “masculine” red wine with this dip! 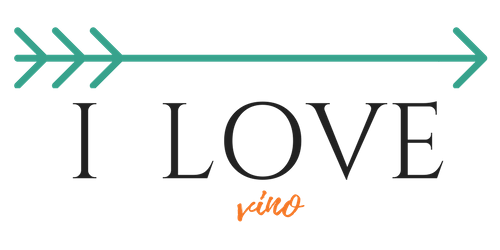 Garnacha de Fuego would be a great example – a lot of fruit to pair with the sweetness of caramelized red onion and sweet bell peppers, and enough body to stand to spiciness of the jalapeño pepper! Peel sweet potato and chop it into a petite cubes. Finely chop onion and leek into a little slices. Chop cured chorizo into small cubes. In the large skillet sauté onions on a little bit of olive oil on medium heat. Add chopped potato and sprinkle with hot salt and fresh crushed black pepper. Add chopped leek and cook, stirring often. Cook through, until the potatoes are starting to get a little tender. Add chorizo chopped into a little pieces and pour wine over it. Cover and keep cooking until potatoes are tender. Add more white wine, if desire. Taste the potatoes – if tender, finish the dish with a little bit of sweet ketchup. Mix well together. Place parsley and garlic in a food processor and process for a few seconds. Season with salt and pepper. Start adding olive oil while the processor works. If needed, add more olive oil than in recipe, until you get a desired thickness. Add a few drops of champagne vinegar and mix together. In the meantime, heat olive oil and butter in another pan. Sprinkle your fish loins lightly with spices and cook just few minutes on each side, until done. 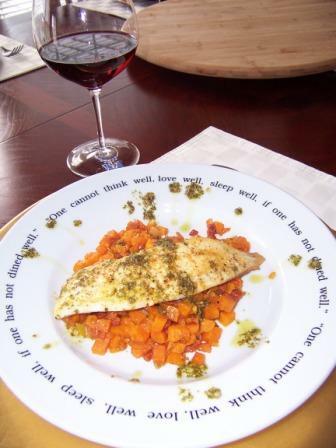 On your plates, plate the sweet potato hash first, top it with tilapia loin and sprinkle with pesto. I hope you are going to love it as much as I did! Bon Apetite! 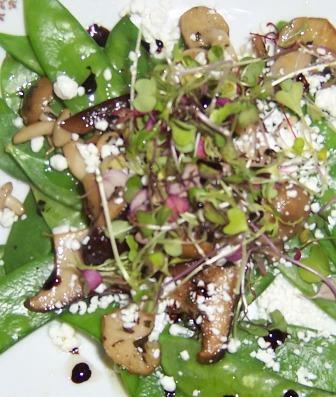 I have paired this dish with lovely Montepulciano D’Abruzzo from Fattoria La Valentina. You can also pick your favorite Pinot Noir or any other, light-medium body red wine (preferably not too much tannins). Who said you can’t drink red wine with the white fish? This has been favorite dish in our family since I was a child. I don’t know what it is that we love so much about it, but till today, if I make it, we eat it until it’s gone. 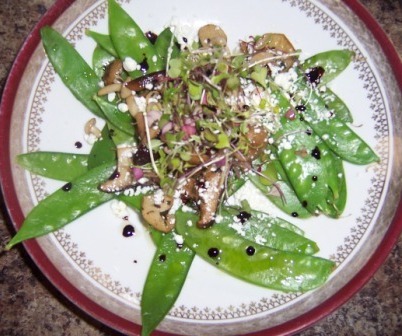 So I don’t make it too often… You can skip sausage/ham in this recipe and have a nice vegetarian version of the dish. Take cauliflower florets apart, wash in colander and cook in salty water until soft. Drain and run under cold water. Set aside to cool. 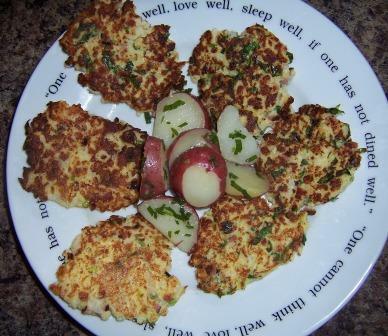 In large bowl mash cooked cauliflower with fork or potato masher. Add meat, farina, flour, 2 egg yolks, seasoning and chopped parsley. Mix everything together. As last carefully incorporate firm egg whites – turning into mix with a wooden spoon. You will get a nice, fluffy dough. Bring oil in a frying pan to hot and carefully add a spoon full of the cauliflower dough directly to the hot oil. Form small fritters (about 3 inch. in diameter) with the spoon in the pan. You must correct the edges a little with the spoon and leave each fritter about half an inch thick; otherwise they tend not to hold together. Fry fritters on one side on medium heat until firm (or when you see the edges on the bottom getting brown) and carefully flip over with spatula. Have patience, and do not try to flip fritters too early – they can break easily! Place cooked fritters on paper towel to soak the excess oil. I paired this dish with a very unique French wine I just recently tasted for the first time, called Les Rials. The more I learn about it, the less I am surprised that it is considered to be among some of the best wines under $10.00 on the market.I loved to sip it on its own, but it also worked very well with this dish.